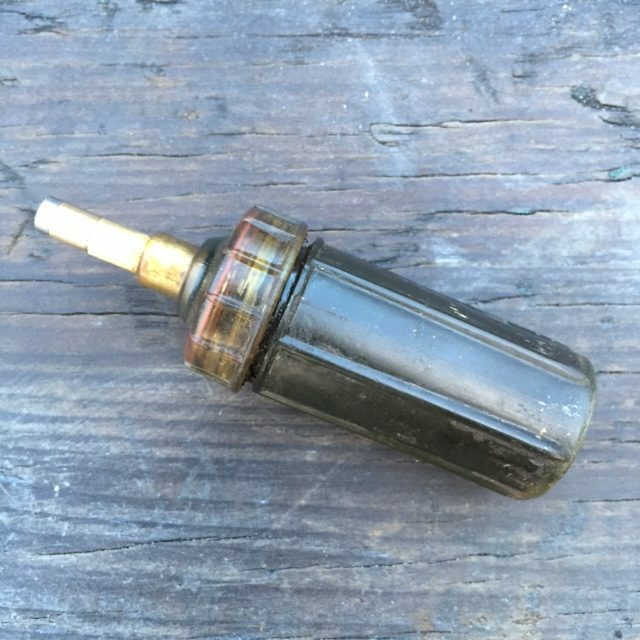 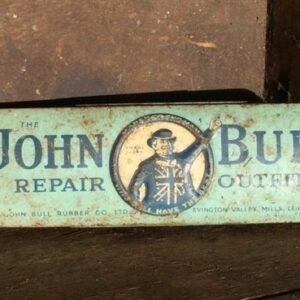 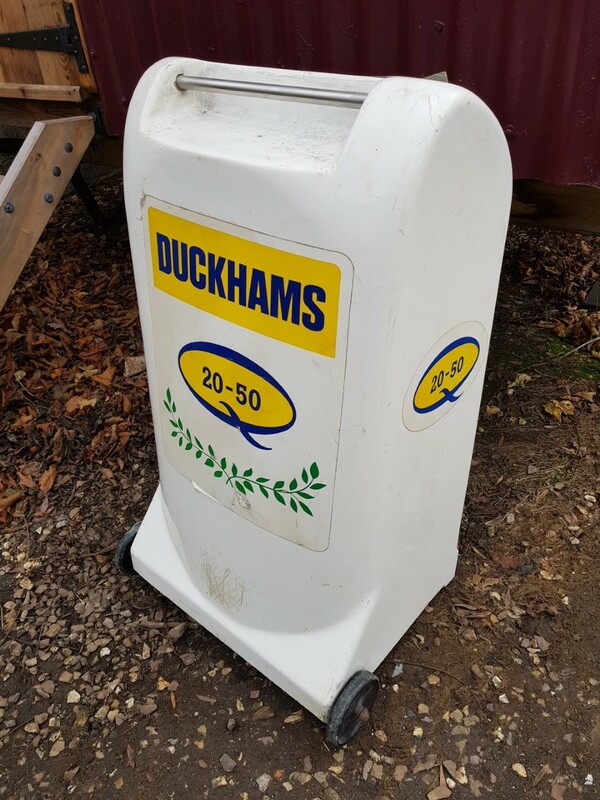 Duckhams Oil Can Trolley – Now Sold! 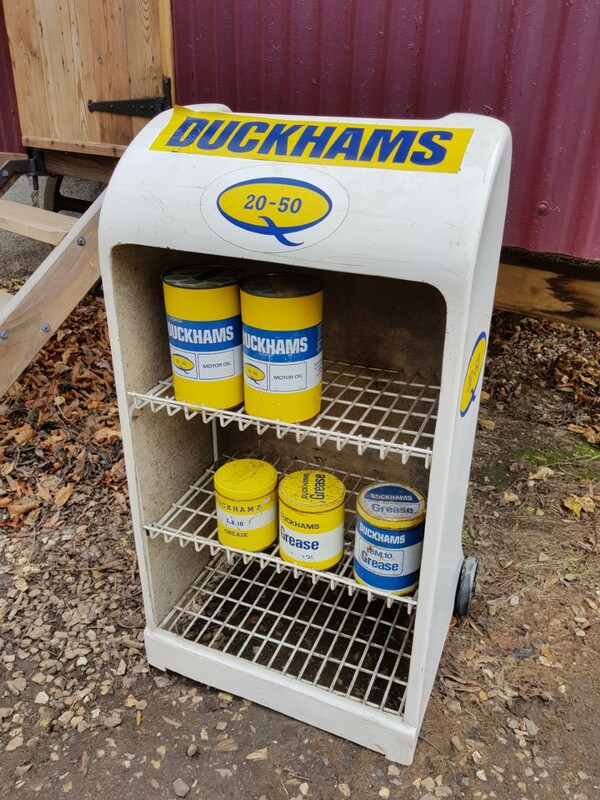 Duckhams garage oil can dispensing stand/trolley complete with a selection of tins. 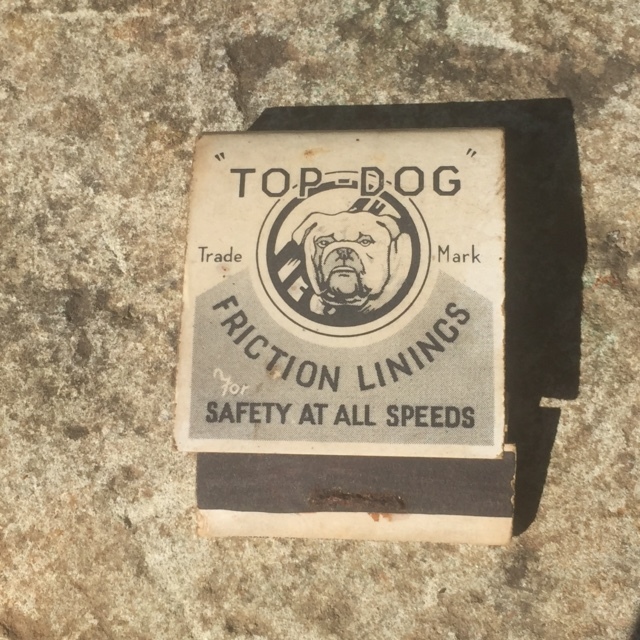 Fiberglass construction in original condition with wire shelves and decals.